Your wedding day is approaching, so before you share your vows with your special person you want to celebrate your bachelor or bachelorette night. Twin Cities Car Service knows there’s no better way to celebrate than in style, and will provide you with a comfortable and luxurious transportation solution for your big night out. Get your group of friends together and party all night while we take you for a ride. Special occasions like these need extra comfort, luxury and safety. Servicing your limo service Minneapolis needs, we promise that all these points are covered when you hire one of our vehicles. Safety and fun should go hand in hand and we want you and all your friends to be transported back home safely. You can trust the Twin Cities Car Service professional chauffeurs to look after you by ensuring safety doesn’t cramp your style. Add value to your trip by organizing some refreshments as you like them. Party hard and leave the driving to the professionals. We’ll provide a comfortable, flexible and luxurious door to door service for you and all your friends. 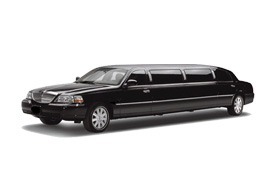 Our limo service Minneapolis employs professional and experienced chauffeurs. Our chauffeurs know the city and surrounding areas well and you don’t have to worry about a thing. Tell us how you’ve pictured to celebrate your bachelor or bachelorette night and we’ll take care of mapping out the route according to your needs. Whether your bachelor or bachelorette night group consists of ten or fifty friends, Twin Cities Car Service has an impressive fleet of vehicles to match. Choose from our quality fleet of vehicles including: luxury sedans, stretch limos, passenger vans, comfortable SUV’s and stretch hummer limos. To ensure your satisfaction, all our vehicles are inspected daily and arrive in spotless condition. Twin Cities limo service Minneapolis will go the extra mile to make sure you enjoy the finest service. We pride ourselves in customer service and would love to help you organize a memorable bachelor or bachelorette night. Twin Cities Car Service, limo service Minneapolis event planning team will be more than happy to assist you in planning out your night. Treat yourself with a luxurious ride in our vehicles and our amazing service will blow you away.